i want do sing but i cant because im ill so i will dance instead. i would like to break dance, but i know i cant break dance so i will not break dance. once upon a time there was _______ and _________ and they ___________. 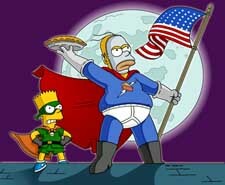 <span style='color:#FF99FF'>Once upon a time there was a Pie and it had a son, called Pie Son and they took over Earth. once upona time there was a pman and it ate a pie and turned into PIEMAN! if i had a___________then i would be__________but i dont have a______________so now i am_________. if i had a MAN then i would be TAKEN but i dont have a MAN so now i am SINGLE. I WISH I COULD_______ BECAUSE I HATE MY______. i have a dream, my dream is incredible, where a frog and a horse can communicate. as far as ______ go, the ______ is equivalent to ______, however the inverse results in _______. so basically its ________. you were always my vice-president, and you will always be my vice-president, so dont be afraid my vice-president.